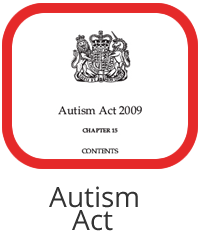 This page tells you more about the Autism Act. The film outlines the developments that led to the Act and its main provisions. And, on this page, you will find useful links to further information. 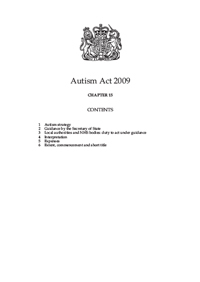 The first points out the duty of the Secretary of State, with the help of autistic people, their families, carers and those providing services currently, to prepare and publish an autism strategy for the improvement in delivery of services to autistic adults from local authorities and the national health service by 1st April 2010 and to review this strategy regularly. It also calls for consultation to take place between the secretary of state and the relevant services before guidelines are set in order to seek their participation in this. This seventh point is the one that was responsible for the setting up of local partnership boards after local consultation meetings with families, professionals and individuals with experience of autism. 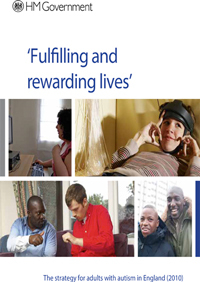 The Partnership Board in Lancashire follows the strategy aims as laid down in Fulfilling and Rewarding Lives (2010), Think Autism (2014)and Adult Autism Strategy: statutory guidance (2015), working together for the benefit of autistic adults across the county. This is what we do together in Lancashire through our Board.